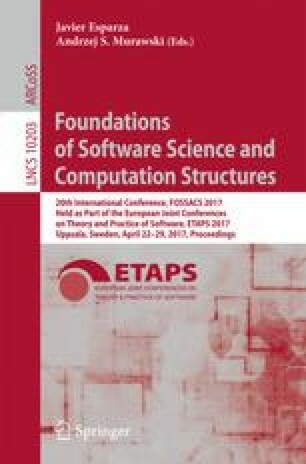 Capretta’s delay monad can be used to model partial computations, but it has the “wrong” notion of built-in equality, strong bisimilarity. An alternative is to quotient the delay monad by the “right” notion of equality, weak bisimilarity. However, recent work by Chapman et al. suggests that it is impossible to define a monad structure on the resulting construction in common forms of type theory without assuming (instances of) the axiom of countable choice. Using an idea from homotopy type theory—a higher inductive-inductive type—we construct a partiality monad without relying on countable choice. We prove that, in the presence of countable choice, our partiality monad is equivalent to the delay monad quotiented by weak bisimilarity. Furthermore we outline several applications. T. Altenkirch—Supported by EPSRC grant EP/M016994/1 and by USAF, Airforce office for scientific research, award FA9550-16-1-0029. N.A. Danielsson—Supported by a grant from the Swedish Research Council (621-2013-4879). N. Kraus—Supported by EPSRC grant EP/M016994/1. We thank Gershom Bazerman, Paolo Capriotti, Bernhard Reus, and Bas Spitters for interesting discussions and pointers to related work, and the anonymous reviewers for useful feedback. The work presented in Sect. 3.3 was done in collaboration with Paolo Capriotti.